Carafe and Tumbler (Saddle) by glass artist Michael Ruh is a hand blown piece that incorporates glass striations, and bears the maker's mark. Boldly coloured with a clean form, Michael Ruh's stacking Carafe & Tumbler set introduces an understated elegance to this historic glassware pairing. 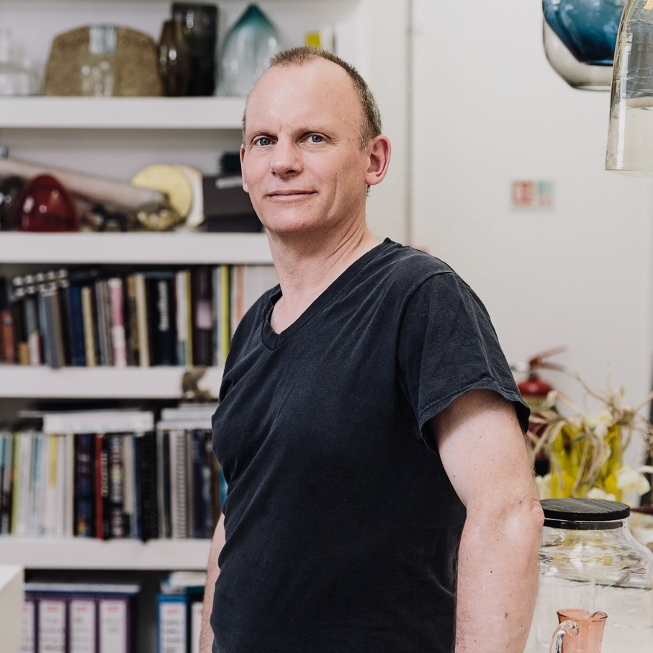 Hand blown in his London studio, each piece has been etched with Michael’s mark on the base. The set has been delicately inscribed with lines as a reminder of the handmade. Dimensions: Height: 36cm, Width: 12cm.